It’s been a while since I’ve posted a freebies list. I haven’t downloaded much, either. I’ve been reading actual, physical books. *gasp! * I blame it on my trip to San Francisco, where I spent some quality time in the most excellent Borderlands Books. If you love speculative fiction and are in San Francisco, you’ve got to go to this bookstore. You can thank me later. 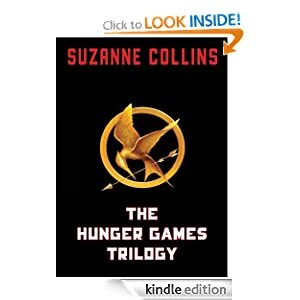 Now that my Kindle has had a chance to cool off, I decided to check out the Amazon freebies. I found lots of new stuff, which is always nice. 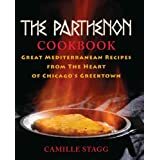 Several yummy-looking, free-for-now cookbooks caught my eye, particularly one based on the “Hunger Games” trilogy. I also noticed that Harlequin is releasing ten free romance novels on April 1. Hopefully, they’re not fooling with us. LOL! *cough* Anyway, keep in mind that when you click the link, you will have “bought” the book, but it won’t download until April 1. All these books are listed below. Enjoy! And have a great weekend. Savor the post-apocalyptic world of Panem one dish at a time with The Unofficial Recipes of The Hunger Games. 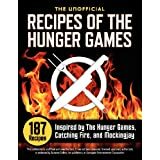 Offering 187 recipes, this cookbook serves fans an authentic taste of the Hunger Games trilogy, whether foraged for in the impoverished District 12 or devoured at the lavish banquets of the Capitol. 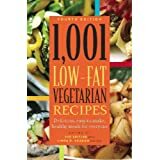 This new edition of 1,001 Low-Fat Vegetarian Recipes is completely revised to reflect current food trends and cooking preferences. The introduction will adhere to American Heart Association guidelines and will include the new FDA nutritional guidelines, with comments on the importance of exercise as part of a total healthy lifestyle. In general, recipes will be easier and faster to prepare with fewer ingredients and more concise cooking methods. Recipes that can be prepared in 30 minutes or less will be identified throughout the book with an “express veg” icon. The “super foods” that boast high nutritional, antioxidant, and phytochemical qualities will be emphasized in recipes—blueberries, kiwi, pomegranate juice, melons, citrus fruit, edamame, leafy dark greens, broccoli, butternut squash, carrots, beets, tomatoes, bell peppers, beans and legumes, nuts, flax and hemp seeds, whole grains, and soy and dairy products. “An Apple A Day Keeps The Doctor Away” I’m sure you’ve heard that saying a time or two. Apples are a great fruit that’s not only healthy, but also very versatile and frugal. I can almost always find some great apples on sale at the store. Occasionally we’ll also buy a big box of apples from a local orchard and store them for use in the winter. Apples keep well in a dry, cool place, but with all the cooking and baking, the never last very long at our house. 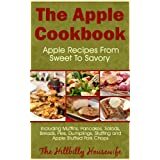 In this apple cookbook, you’ll find recipes that range from sweet to savory.